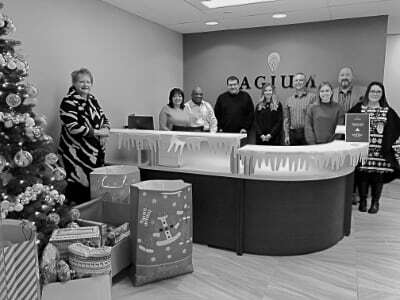 The Sagium Team has been hard at work this week getting everything wrapped up for the Made by Momma - Adopt A Family program. On November 1st, 2018, Sagium and the United Way of Calgary and Area cohosted an event to present Advanced Strategies for Transferring Wealth to the Next Generation. 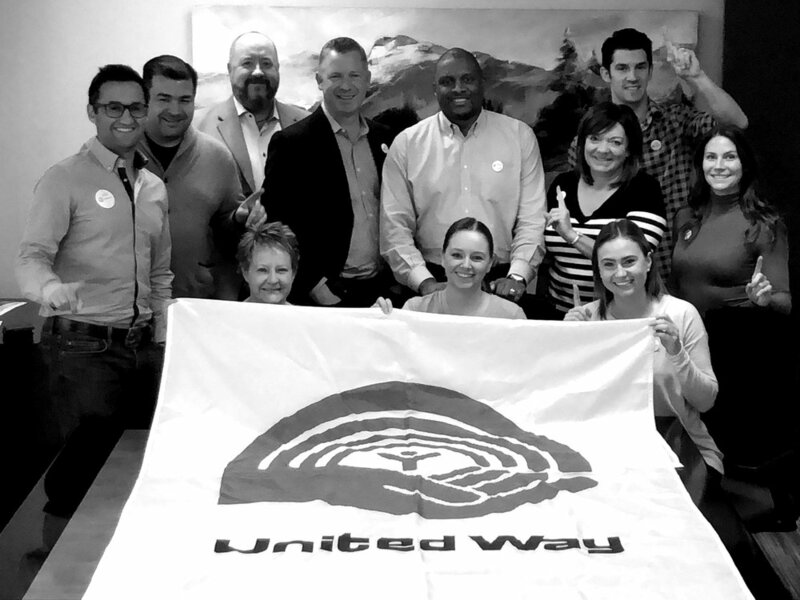 On October 1st Sagium kicked off the second annual workplace campaign for The United Way of Calgary. The LitGala will raise 1 million dollars for the Calgary Public Library Foundation to ensure that it is able to continue that knowledge, information, programs and services are within reach for all Calgarians. The Sagium staff recently put in some hard work volunteering for Inn From The Cold. Sagium is proud to announce that on June 7, 2018 Ian Minnifee was awarded the Order of the University of Calgary. Sagium hosted its annual Corks and Forks event with Justin Leboe of Model Citizen and Robert Rex from Deerfield Ranch Winery. On February 21, 2018, to a packed Hamilton boardroom, Sagium hosted it’s inaugural Whitespace Seminar. Entitled Mindshift: Your Wealth Is Perpetual, with our keynote speakers, Spencer Mellace and Zak Smith. On February 7th, the United Way hosted their annual awards ceremony at the BMO Centre Palamino Room at Stampede Park where Sagium was honoured to be nominated for the Spirits of Gold award. Sagium is proud to announce the launch of a new educational event series called Whitespace. It’s the benefit we gain from what we don’t know and Sagium is pleased to offer this exciting new opportunity to our clients, associates and friends. Today, Sagium announced they will be renewing their partnership with the National Music Centre as a supporter of the Front Row Centre Club. It is with great pride that Sagium extends a well deserved congratulations to our sister firm, Sagium Health on their recent milestone of doubling their client base since this time last year. On October 2nd, Sagium proudly supported the first-ever “Top 7 Over 70” gala which received rave reviews from 800 attendees at the Hyatt Regency Calgary. The Top 7 over 70 is an awards program for any senior who is over 70 — and lives in Calgary or its surrounding communities. On Sept 28th, Studio Bell was closed to the public for an enlightening evening celebrating the power of music. The event began with a dinner & discussion on the impact of music in medicine hosted by Ron Mannix and the ME2 Foundation and attended by neurology students from the University of Calgary. Jade joins Sagium as a recent graduate of the Bissett School of Business at Mount Royal University with a major in Finance. Since May 2016, Jade held the position of Financial Services Associate at Assante Capital Management Ltd., where she was responsible for client service and financial planning. The Government of Canada released a consultation on July 18, 2017 proposing changes to the way Canadian Private Corporations are taxed. The proposed changes will affect small business owners and shareholders of Canadian Controlled Private Corporations. Sagium President Jeff Popiel was a guest speaker at the Calgary Public Library Annual General Meeting. The event was hosted at the Shawnessy Public Library and chaired by CEO Paul McIntyre Royston. Sagium is proud of our long standing support of the Horizon Housing Society and Canadian Mental Health Association dating back to our roots with Darol Hamilton and Hamilton + Partners. On April 28, 2017, at the Ranchmen’s Club in Calgary, Evelyn Main of Elevate, a strategic partner of Sagium, presented “Your Next Chapter: A Survival Guide to Thriving in Retirement”. The one-day exclusive master class helped attendees learn how to navigate the retirement years with confidence and purpose. On April 27, 2017, Calgary’s fashion forward congregated at Mercedes Benz Downtown for the Olds College fashion show. The annual signature event was a first class affair and attracted a large and engaged crowd to showcase the work of the institution’s alumni and current students. It is with great pleasure that Sagium celebrates a very special moment with Bill Andrew. On April 26, 2017, Bill Andrew was awarded the 2016 Francis Lefaivre Award at the United Way of Calgary and Area’s Annual General Meeting. Sagium proudly announces the addition of David Miller to our team in the role of Associate Advisor. David has lived and worked in and around Calgary for the past ten years. He is the proud father of two wonderful children whom he shares with his partner, Shawna. Today, Sagium announced a new partnership with the National Music Centre as the exclusive sponsor of the Front Row Centre Club. Canada’s iconic arts institution established the program to bring together the community leaders, city builders and generous Calgarians who have been instrumental in supporting the creation and ongoing development of Studio Bell. It is with great pleasure that Sagium announces the promotion of Zak Smith to Manager, Financial Planning. As a Chartered Accountant formerly with Deloitte, Zak brings a wealth of planning experience and talent to his new role . Clay Riddell, Jim Dinning and many other prominent Calgarians joined Sagium for an exclusive milestone celebration of two great leaders in our firm on November 23, 2016. The Calgary Country Club played venue to Bill Andrew’s 60th anniversary and Rick Green's 30th anniversary gala. Sagium proudly announces the expansion of our planning department and welcomes Matt Glasser and Dustin Nickel to our team as Financial Planning Analysts. Dustin & Matt will form an integral part of our continued commitment to the client experience and we are excited to have them join our firm. Sagium congratulates Ross Glen, President of RGO Office Products, on being named a 2016 inductee into Calgary Business Hall of Fame. Sagium proudly supported Ross at the event and celebrated his achievement with his many colleagues, friends and family at the Hyatt Hotel. On Sunday, May 15th, Sagium joined the family and friends of the Calgary Police Foundation to celebrate the impact of its programs, it’s people and it’s supporters at the incredible, newly opened Youthlink Calgary Police Interpretive Centre.